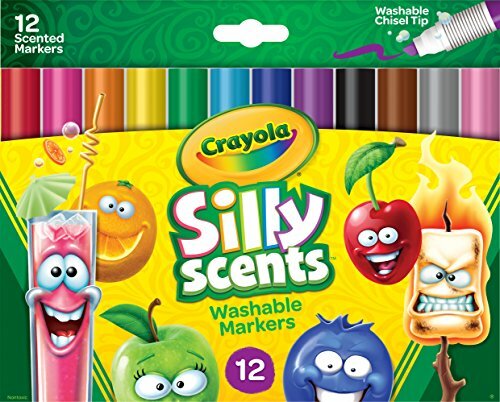 Crayola Silly Scents, Washable Scented Markers, 12 Ct ONLY $3.99! 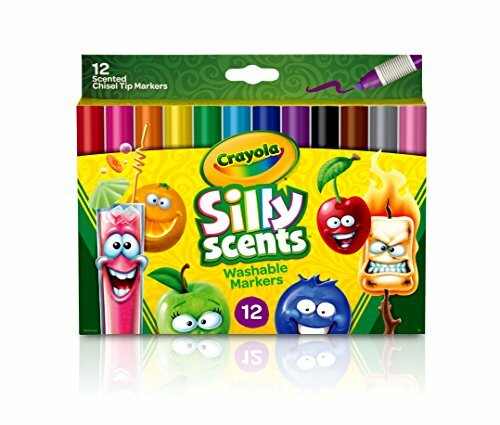 Score a GREAT DEAL on the Crayola Silly Scents, Washable Scented Markers, 12 Ct today for only $3.99 from Amazon! You will get FREE Shipping if you are a Prime member! If you are not an Amazon Prime member you can grab a FREE 30-Day Trial HERE! Get the all the Details of this deal below! Featured scents are Cherry, orange, lemon, Apple, fresh air, Blueberry, grape, tropical punch, cotton candy, Marshmallow, coconut, and root beer. Chisel tip for thick or thin lines. Silly Scents combines a fragrant scent and colorful markers. Comes in a delightful character pack. These washable markers comes ready to scribble and sniff it’s non-toxic scents. AP Certified. Don’t miss this deal at Amazon Today on the Crayola Silly Scents, Washable Scented Markers, 12 Ct for only $3.99!